Dear Rich: An Intellectual Property Blog: Can I Copy Craigslist Ads? Can I Copy Craigslist Ads? Dear Rich: I am a book editor working on a collection of some fiction, some personal narratives, some nonfiction. I've asked one writer to rewrite a personal narrative because it included four lines from a fairly recent pop song (or get permission to use the lines though I warned her that there would probably be a pretty stiff fee and the publisher wouldn't pay it). She wants to submit a different narrative instead that quotes several Craigslist ads. Are those ads considered to be copyrighted? Would we contact Craigslist? Or try to contact the author of the post? We rarely use Craigslist (except to check houseboat prices and obscure audio equipment) but we have a fond spot in our heart for the site because we used to live in the Sunset District of San Francisco and we remember riding our bicycle by the tiny storefront office at 9th and Judah Streets many, many years ago and wondering what the heck is Craig’s List? Then – boom – it was a global phenomenon. So is there a copyright and if so, who owns it? Under copyright law, the author of the work (the Craigslist ad) claims copyright. But that presumes the posting is a copyrightable work and it's not always clear if that's true. We think the determination depends on the ad's length and the unique language used in the ad. 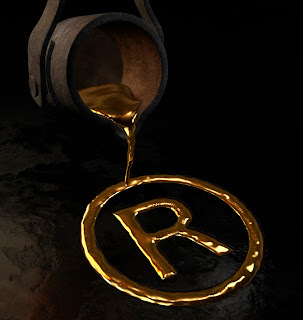 As a general rule short phrases, or “stock” advertising terms are not protected under copyright. And under a principle known as the merger doctrine (or idea/expression doctrine), a want-ad writer can’t claim copyright if the ways to express an ad are limited -- say “Roommate Wanted: No Meat Eaters, Please.” Even if a want-ad can be protected under copyright, the reproduction in a book might be excused as a fair use (or as a de minimis, or “trivial” use of the material). Conclusion Dept. As general rule, if you are simply quoting a few Craigslist ads in a personal narrative – and particularly if you are using those excerpts for purposes of commentary or criticism -- you can probably exercise your rights under fair use. The music thing. Because you didn’t ask, we'll sidestep your comments about reproducing four lines from a pop song. But if we were a betting blog, we’d bet that most such uses in a personal narrative would be excused as a fair use. I am particularly interested in exploring if I can manually aggregate interesting cars for sale on cragslist and repost them in my blog with a direct and visible reference back to the Craigslist posting. I am also hoping that I can reuse some of the pictures in those posts provided I clearly credit everything back to the original post. Is that ok to do? I am of two minds whether I run my blog commercially (would prefer) or non-commercially. Specifically because the new terms provide an exemption for non-commercial public archives I believe I could repost non-commercially. But what if I had adjunct commercial activity (like links to an Amazon store) but not inline with the purchase or sale of the product from Craigslist. Look forward to your advice.